Ear infections are pretty common health issues for dogs, especially those with bigger and floppier ears that fold over. But they can be quite tedious for your pets to deal with. They will feel uncomfortable and itchy, and if it gets bad enough, it will even be painful and could lead to more serious problems if left untreated. Because it’s very common, you must be vigilant in seeing any signs if your dog may be suffering from it. If you find your dog scratching his or her ear frequently, and you find that the ears are getting red or swelling, and there is a sometimes smelly discharge, better have it checked. Aside from that, other symptoms include hair loss in the ear area, hearing loss and loss of balance. If you suspect your pet of having an ear infection, read below for some remedy for ear infections in dogs. Some of them may be natural ingredients, but also make sure to consult with a veterinarian especially if your dog might have allergies. Be gentle with cleaning your dog’s ears – there are some dogs who get chronic ear infections and you will need to be gentle with your cleansing so as not to aggravate it further. Get some gauze and use witch hazel to dab the inner area with gentle careful strokes. Try to find the underlying cause – if the problem continues to persist, you will need to know what could be causing the infection. If you are only treating the effects and not the cause, it will just keep coming back. They may be caused by bacteria or yeast and fungus. For inflammation, you may need to see if your dog has had an allergic reaction to food or other things. Check for any new food their diet, such as a different type of protein. 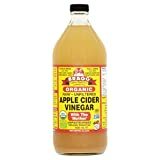 Use apple cider vinegar – aside from being a cleaning agent, this natural ingredient is a very effective way to kill the bacteria or yeast that may be causing the ear infection. But observe your dog’s ears first, because if it is red and inflamed, using this technique may feel very painful for your pet. Use calendula – another natural ingredient that you can use is calendula, an herb which possesses some amazing healing abilities that can treat skin and external ear problems. You can actually buy an oil already infused with calendula if you do not have the time to make your own mix. But if you do have the time, what you can do is put the calendula flowers in a jar and add some olive oil plus garlic cloves. Let it stay inside the jar for around four days, after which you can use a cotton ball to apply it to your pet. Apply antibiotic – when you take your dog to the veterinarian, you may be asked to just buy an antibiotic for your dog. This may be either topical or an oral medicine that your dog will have to take if your dog has a bacterial infection. For a yeast infection, the doctor may prescribe an anti-fungal ear wash instead.